Let Award Winning Television Artist Steve Wood help develop the “artist” in you. You don’t have to be “born with the gift” to be a great painter. His methods are applicable to the beginner as well as the advanced painter. 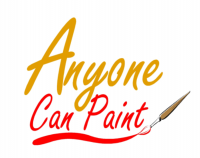 If you have ever had the desire to paint, Steve is the instructor to show you how! Contact Marcy at (989) 772-0748 to register.